While moving forward with his prosecution, Xi Jinping and Li Keqiang are adopting Bo’s playbook. 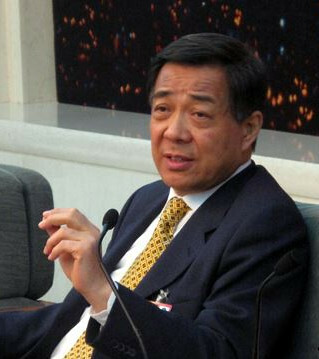 This week former Politburo member Bo Xilai will go on trial for charges of bribery, embezzlement and abuse of power, finally marking the culmination of Bo’s spectacular fall from power. But even as they put Bo on trial, the top leadership in China is quietly adopting much of his governance style and policies—the so-called Chongqing Model. This model had both political and socioeconomic aspects to it, and President Xi Jinping currently appears to be leading the charge on the political side while Premier Li Keqiang embraces the social and economic components. The political aspects of the Chongqing Model contained both Bo’s personal leadership style, handling of Party and state subordinates and ideological campaigns. Bo’s personal leadership style was unusual for the CCP, in that he sought to establish a cult-like base of supporters among Chinese masses through his charm and carefully crafted public image. Holding a graduate degree in journalism, he was very savvy with the media, including being far more blunt and outspoken than is usual of Chinese officials. In short, Bo was a “rock star” among the sea of dull technocrats in the Party. Since taking over as General Secretary last November, Xi has seemingly tried to emulate this leadership style. When the new Politburo Standing Committee was first unveiled at the 18th Party Congress, Xi took the unusual step of giving an off-the-cuff speech to the media and the nation. Soon after he took a very public tour through southern China in the same manner that Deng Xiaoping had done back in 1992. While traveling the country, the Chinese media were allowed to follow him closely and even post live updates on Weibo accounts. Another Weibo account that gained notoriety earlier in Xi’s tenure had so many details on his movements that many speculated it was actually run by his inner circle. Other stories and gestures—like rumors that he had taken a taxi ride and stayed outside in the rain without an umbrella—have been publicized to raise Xi’s popularity among the Chinese people. Like Bo, Xi also presents himself as someone who could easily intermingle with the Chinese masses. He reduced extravagances while traveling in country, trips, often speaks to seemingly random and ordinary Chinese and even eats in the cafeteria with the grunts while visiting military bases. He has sought to project the same “rock star” type image as Bo while traveling abroad with his famous and fashionable wife, Peng Liyuan, herself prone to impromptu gestures like jumping on stage to join the band for a song during state dinners put on for her and her husband. While building a rock star image around himself, Bo also launched huge anti-corruption and anti-crime campaigns and forced officials to adopt more austere lifestyles. For example, when Bo became mayor of Dalin its officials were notorious for frequenting expensive restaurants and having taxpayers foot the bill. To end this practice, Bo reportedly gave out beepers to all top officials, which he used to call them at all hours of the night to ensure they were at home or at the office. In Chongqing he initiated a “connecting with your poor relatives” campaign where government officials would spend times in poorer regions and sometimes adopt poor families.” Then, of course, there was his “smashing black” campaign that was directed against organized crime as well as the corrupt police, judges and officials who enriched themselves by working with them. As President and General Secretary, Xi has also made rooting out corruption arguably his top priority. Complimenting this is Xi’s unending efforts to cut down on official extravagance. His mass line campaign calls for Party officials to reconnect with the Chinese masses. Similar to Bo’s “connecting with your poor relatives campaign,” Xi has ordered PLA and police officials to spend two weeks on the front lines with enlisted men. Most controversially, Bo launched a “singing red” campaign that explicitly sought to revamp some of the most peculiar elements of Mao’s rule. As the Wall Street Journal reported over the weekend, Xi too is adopting some elements of Maoism. However, there is a crucial difference between Bo and Xi’s reverence for Mao; namely, Bo’s singing red campaign was more about rallying the masses while Xi’s references to Maoist symbolism have mostly been in dealing with the Party and military. Both leaders have sought to centralize power in themselves to a degree that is uncommon in the post-Deng era. The composition of the Politburo and its Standing Committee will provide vital clues about the state of Chinese politics.